Probably no other American writer has a greater sympathy with, and a keener enjoyment of, country life in all its phases—farming, camping, fishing, walking—than has John Burroughs. His books are redolent of the soil, and have such "freshness and primal sweetness," that we need not be told that the pleasure he gets from his walks and excursions is by no means over when he steps inside his doors again. As he tells us on more than one occasion, he finds he can get much more out of his outdoor experiences by thinking them over, and writing them out afterwards. 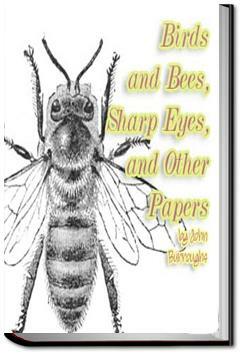 These essays are delightful stories about birds, bees, foxes, hounds, fruit (the apple), trees, squirrles and nature in general written by a man who loves watching them and writing about them.